The singer who was out of the country when the London riots broke out, stated there needs to be further investigation to find out why the riots happened. He went on: I mean you can’t just treat this thing as if it was entirely unrelated to anything else. If all these kids are hooligans and thieves, then why are they all hooligans and thieves? 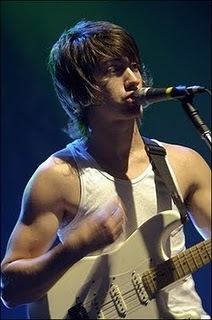 There’s particular reason for Turner’s disappointment – the London warehouse destroyed in the riots held substantial quantities of stock for the UK’s top independent record labels – the stock included Artic Monkeys’ records, of which are large number were ruined. This entry was posted on Wednesday, September 28th, 2011 at 9:21 am	and is filed under Music News. You can follow any responses to this entry through the RSS 2.0 feed. Both comments and pings are currently closed.